Kevin Harvick wins again, this time with a bump-and-run. 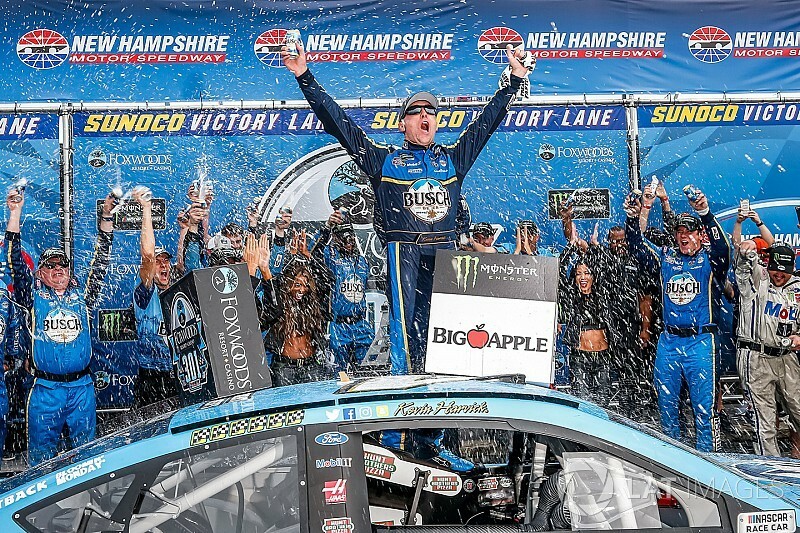 With seven of 301 laps remaining, Harvick caught leader Kyle Busch, gave him a nudge from behind and held on for the win in Sunday’s rain-delayed Foxwoods 301 at New Hampshire Motor Speedway. The win is Harvick’s sixth of the season, the most of any driver, and 43rd of his career. "I didn't know if I was going to get there (at his rear bumper) again and felt like that was my best opportunity to do what I had to do to win," Harvick said. "I didn't want to wreck him but I didn't want to waste a bunch of time behind him. "Winning is important and you need to take every opportunity you can." Asked if he worried about the future consequences from that move, Harvick said, "Well, you do, and you worry about that stuff later. It's not like I wrecked him. It was the same thing in Chicago. "I want to thank all the fans for sticking it out in the rain today. What a great race today. Appreciate it. Awesome day!" Busch ended up second, Aric Almirola was third, Martin Truex Jr. was fourth and Chase Elliott completed the top-five. Rounding out the Top 10 were Ryan Newman, Ryan Blaney, Kurt Busch, Joey Logano, and Jimmie Johnson. Following break between Stages 2 and 3, all of the lead-lap cars elected to pit and Kurt Busch came off pit road first and took over the lead when the race returned to green on Lap 159. He was followed by Elliott and Truex. On Lap 163, Almirola made his way up into the second position as Elliott dropped back to third. Kyle Busch moved back into fourth on Lap 178 as Kurt Busch continued to hold about a second lead over Almirola. Harvick made his way into the fourth position on Lap 195 as Kyle Busch dropped back into fifth. With 100 laps remaining in the race, Harvick was challenging Elliott for the third position and on Lap 205, Harvick finally was able to complete the pass. With the help of some lapped traffic, Almirola moved to the inside of Kurt Busch on Lap 212 and took the lead for the first time in the race. On Lap 215, Brad Keselowski had started to drop back through the field and was complaining of issues with his brakes. The first cars to kick off a round of green-flag pit stops headed to pit road on Lap 223. Once the cycle was completed on Lap 229, Harvick had moved into the lead, followed by Almirola, Kyle Busch and Elliott. During the stops, Clint Bowyer was penalized for pitting outside his pit box. He was running sixth before he began his stop. Almirola made his way back around Harvick on Lap 233 to reclaim the lead. With 55 laps left in the race, Almirola had opened a more than one-second lead over Harvick. Kyle Busch was third, Elliott fourth and Kurt Busch fifth. Bowyer made contact with the wall on Lap 257 to bring out another caution. Kyle Busch was the first off pit road and took over the lead when the race returned to green with 39 laps remaining in the race. 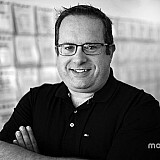 He was followed by Harvick, Almirola, Truex and Kurt Busch. Almirola had a terrible restart and dropped back to seventh one lap later as Kyle Busch held a small advantage over Harvick. With 35 laps remaining, the top three drivers in the series were running first through third – Kyle Busch, Harvick and Truex. Almirola had powered his way back up to fourth with 30 laps left only to see Elliott retake the position one lap later. With 25 laps left, Almirola was again back in fourth. There were several reports of rain as Harvick closed in behind Kyle Busch with 15 laps left in the race. Kyle Busch on Harvick contact: "How you race is how you get raced"